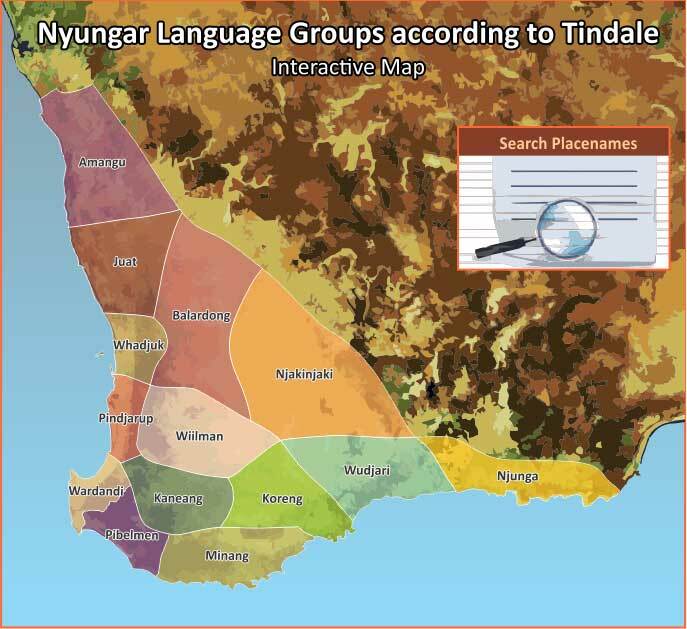 Maps of the Aboriginal groups of the South-West usually present placenames of the different Nyungar language groups. This mapping is mostly associated with the work of anthropologist, Norman Tindale. To explore any of the map regions, simply click on the shaded area. An enlarged map will appear, detailing the Nyungar placenames of the region. Further clicking will provide information about each placename shown. For information on a particular placename, the “Search Placenames” panel allows for a search by name and provides an alphabetical list of all the placenames featured on this website.